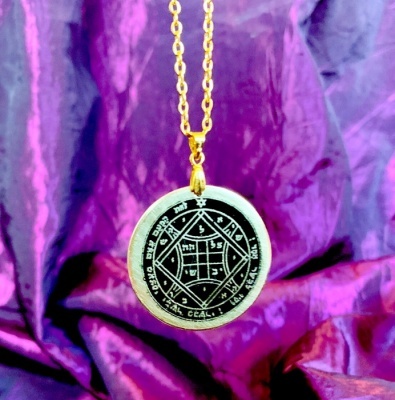 You are looking at a beautiful, TRADITIONALLY-CRAFTED Talisman, lovingly created to provide you with a direct link to the powerful energies of the Medieval Grimoire Traditions. 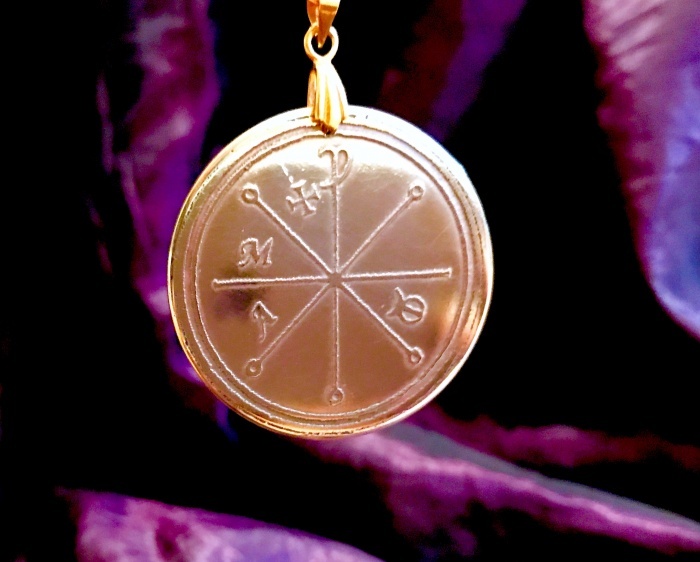 This unique Talismans is constructed from SOLID, 1.2 mm THICK BRASS, with the Magickal Seal deeply inscribed into the metal itself. It have been designed to last a lifetime - and beyond. Your Talisman set has been crafted using techniques from the Old Artes, in the U.K.'s City of Culture, Kingston-Upon-Hull, in the heart of rural Yorkshire.